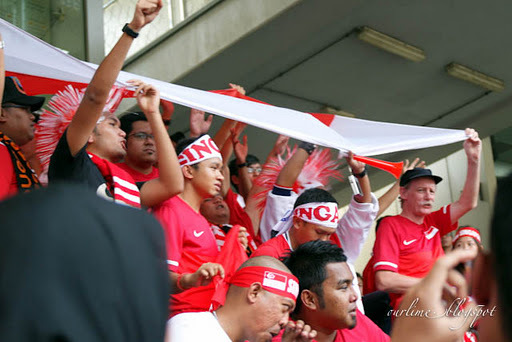 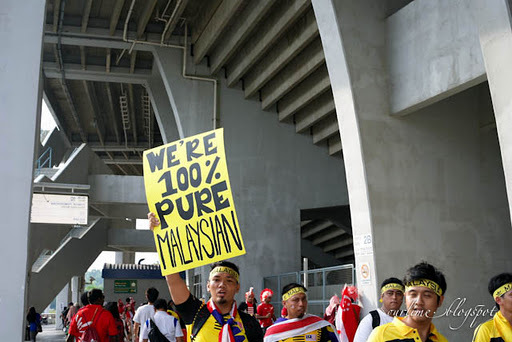 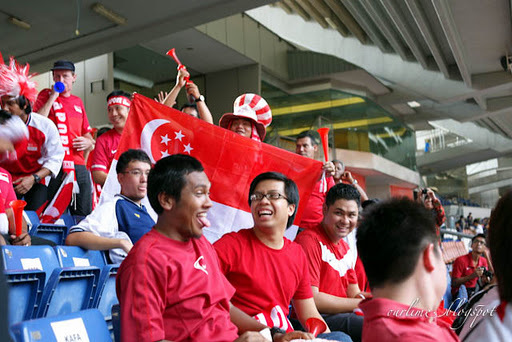 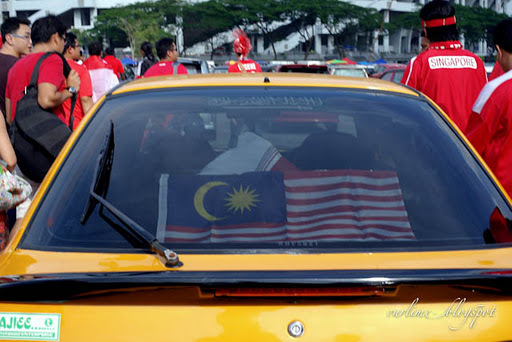 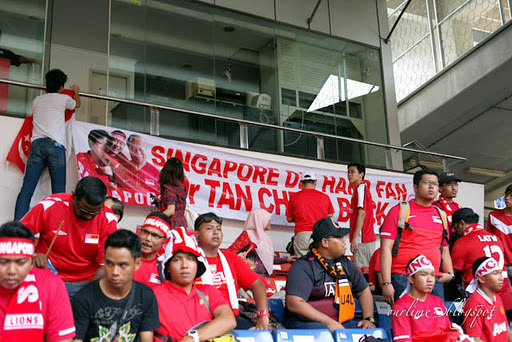 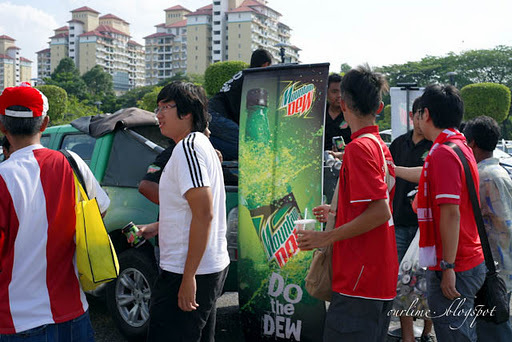 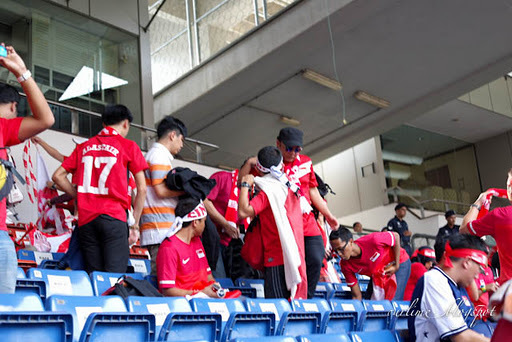 I joined the Die-Hard fans to support the Singapore team in Malaysia. 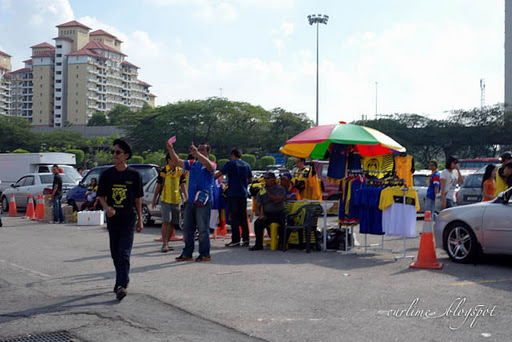 A quick call to Akbar Hashim, transfer of money and I was ready. 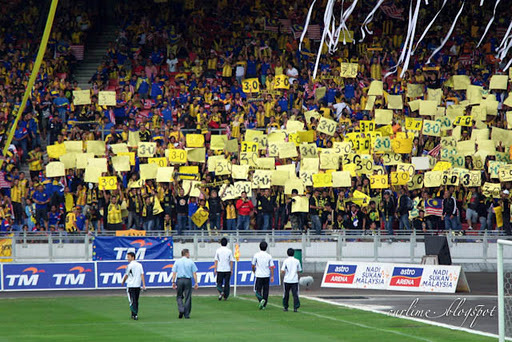 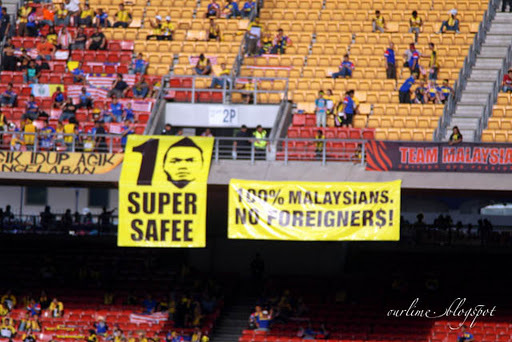 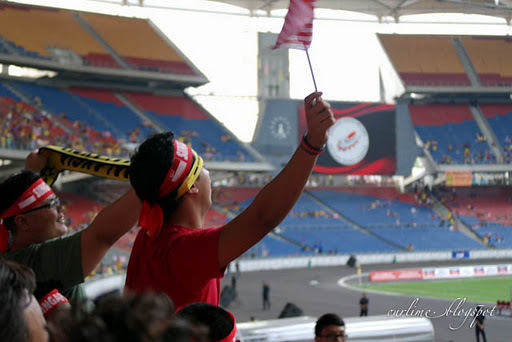 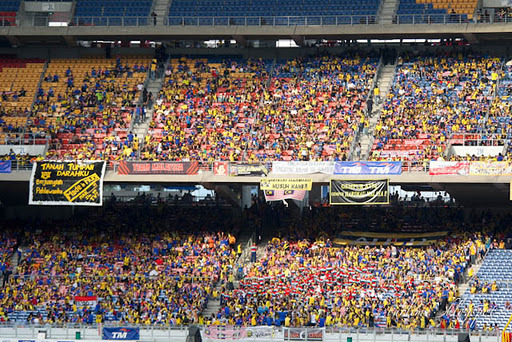 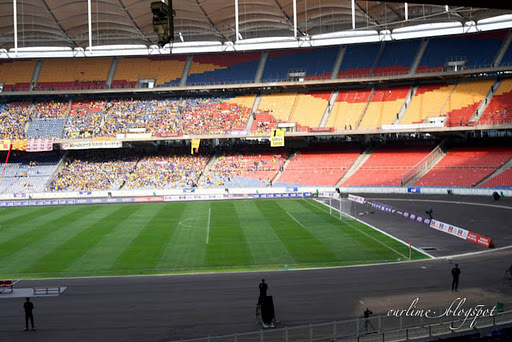 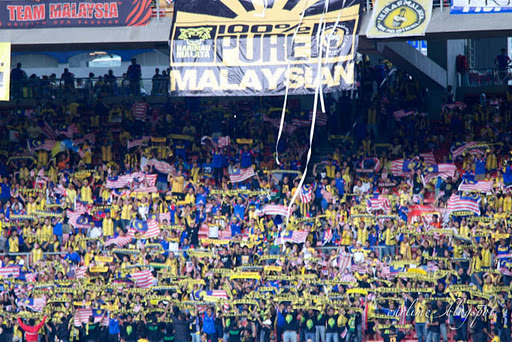 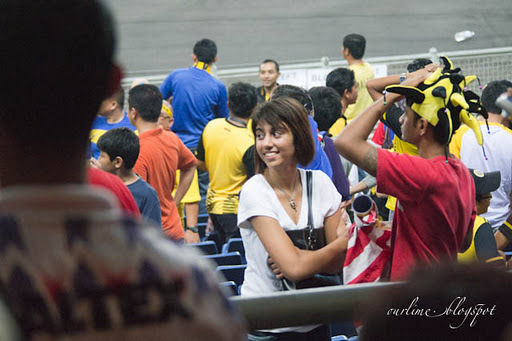 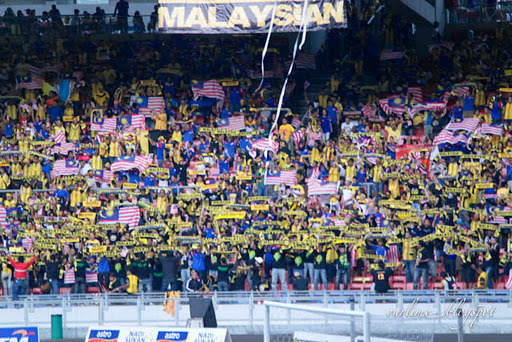 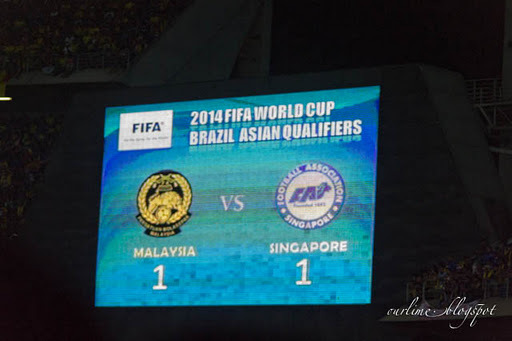 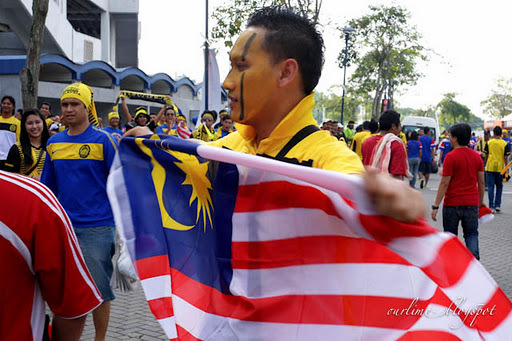 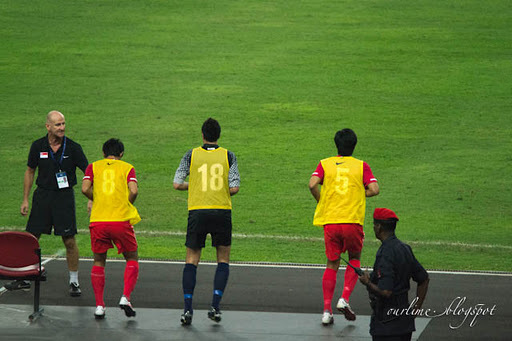 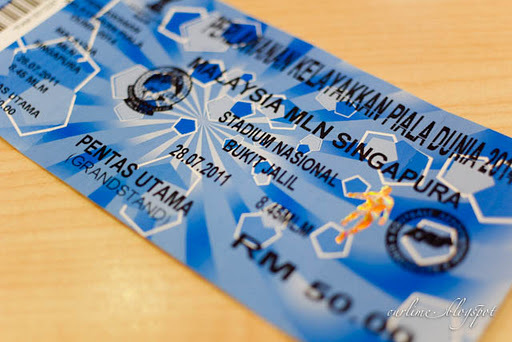 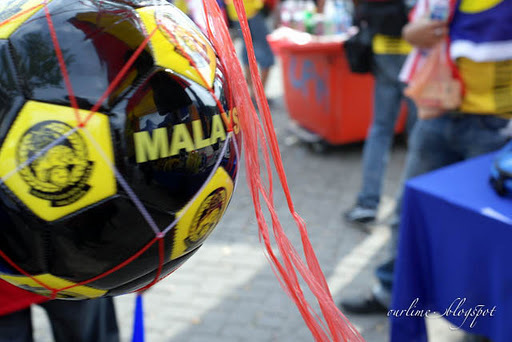 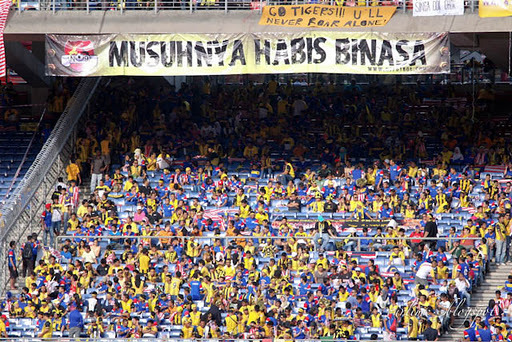 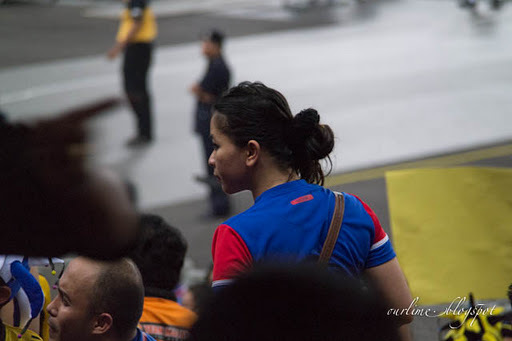 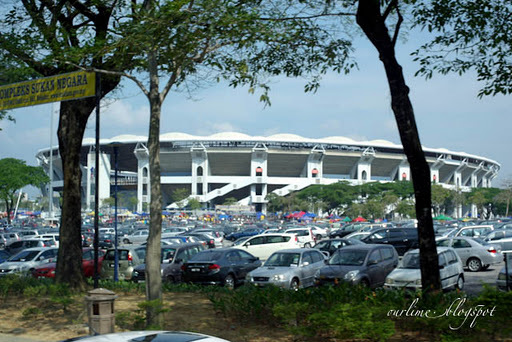 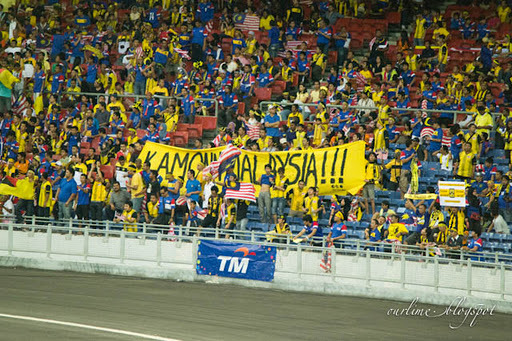 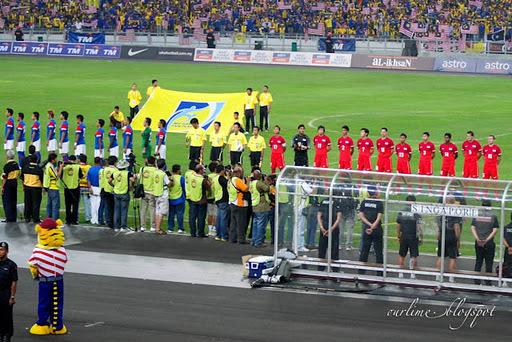 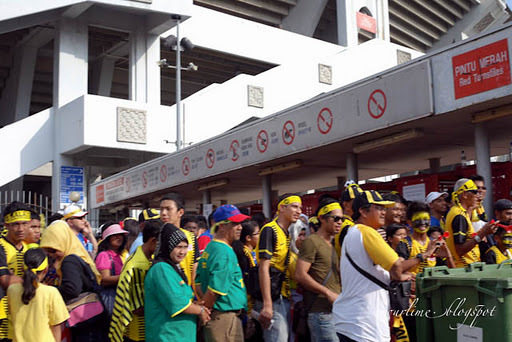 Miss those Malaysia Cup days and hopefully, we can indeed support Singapore in Brazil World Cup 2014. 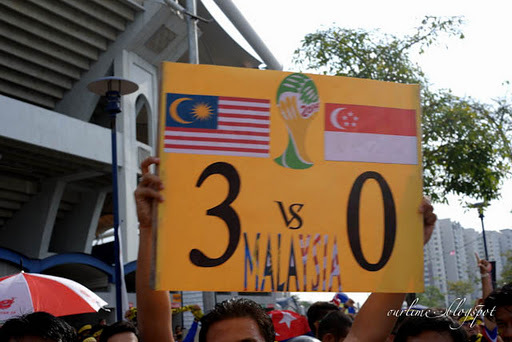 Hahaaa..
Malaysia got ball of their own. 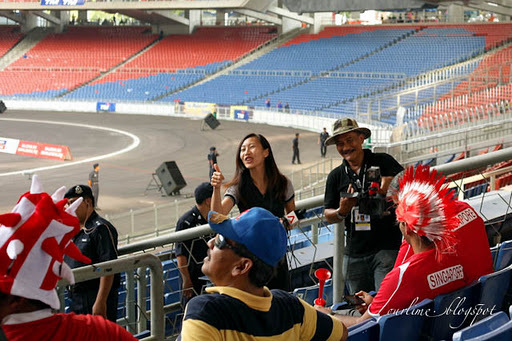 Melissa Goh, KL CNA correspondent. 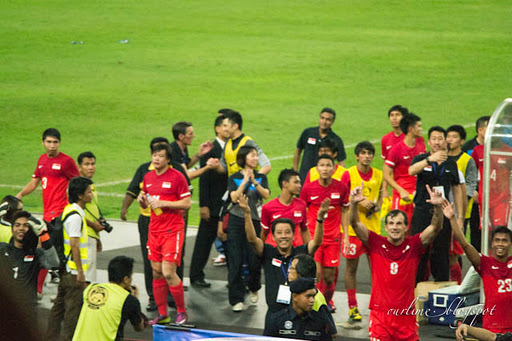 Telling the Japanese match officials their dream score. 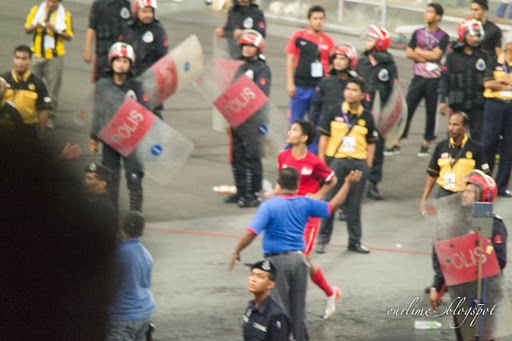 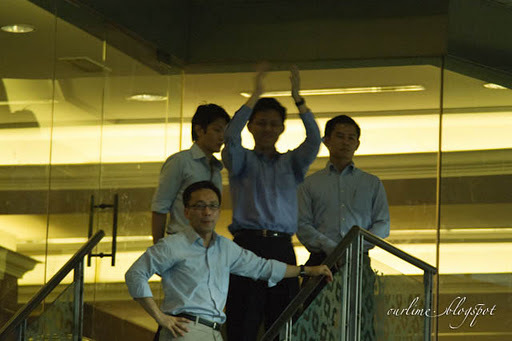 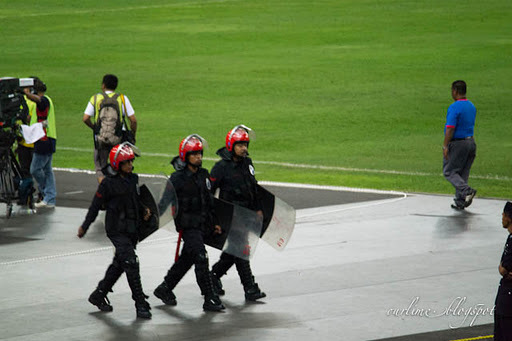 Watching out for projectiles thrown by the Malaysian fans. 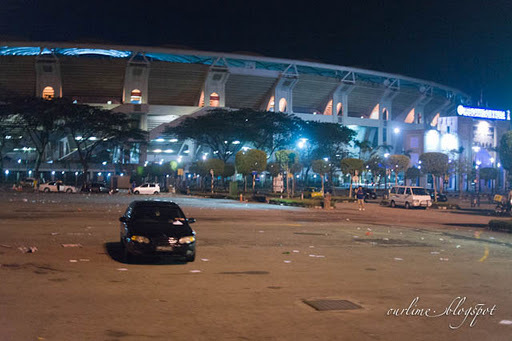 Waited for the stadium to clear, before we can leave. 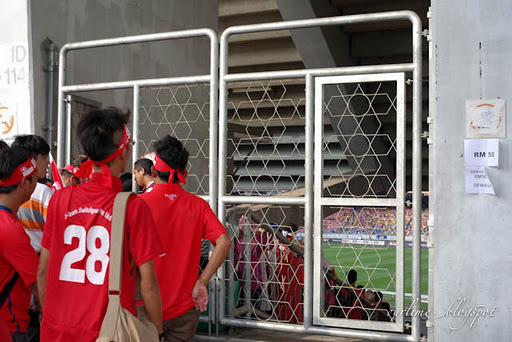 The Ultras were actually waiting for us outside, taunting and throwing a few things. 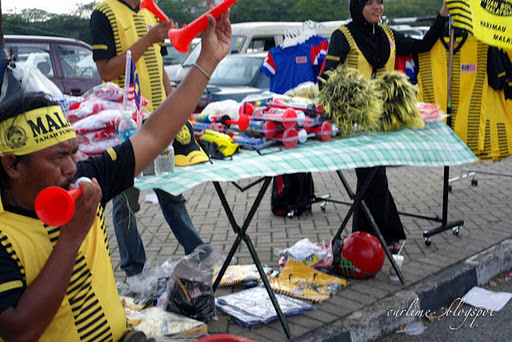 Typical football taunts. 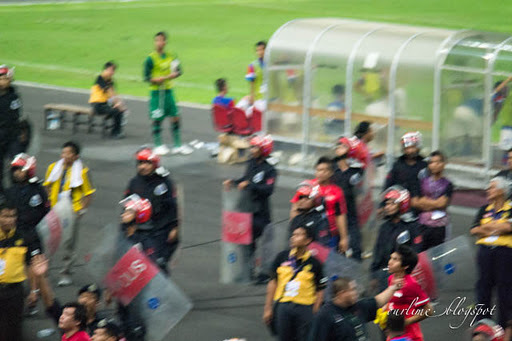 Noticed the rider on bottom left of screen? 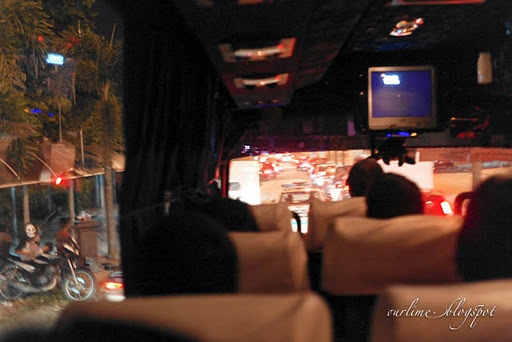 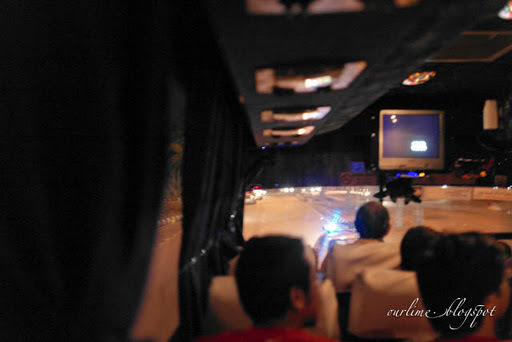 Our bus was also pelted with pebbles along the way. 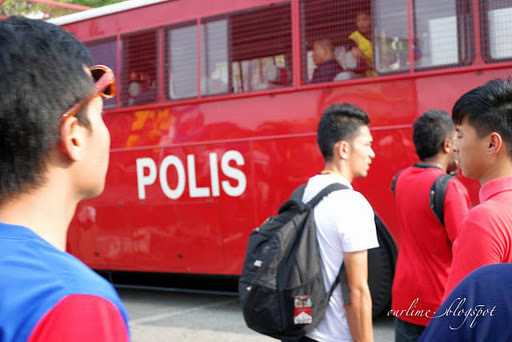 The police did a good job though. 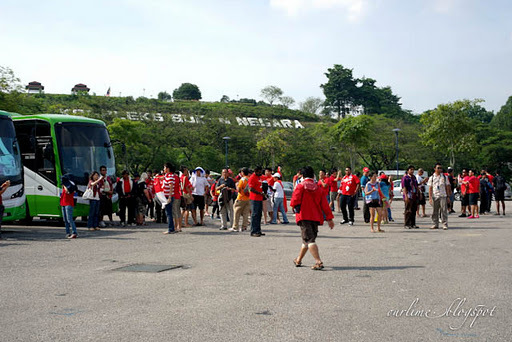 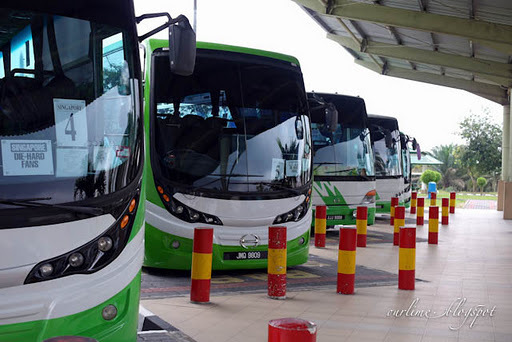 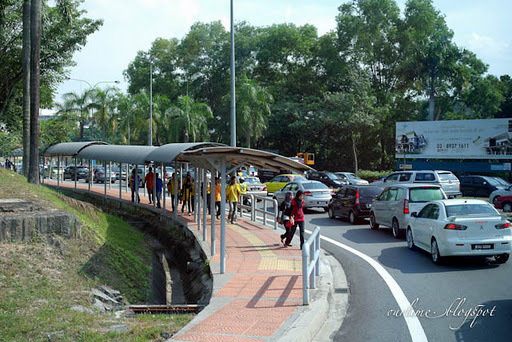 They escorted the buses all the way to Sungei Besi toll.